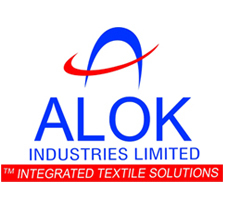 Alok Industries has said that it is going to double its revenue to make it $3 billion in the next three years. This, said the textile company, will happen by growing its export market and also to suffice more of domestic demand. At present, the export market of the firm is worth 25 billion rupees as against 15 billion rupees last year. This information was given by Managing Director Dilip Jiwrajka. They are also aiming to export more of polyester for the export market. The current capacity of the company is to double itself in polyester production to 400,000 tonnes by December. It is also going to add 50,000 spindles to its existing 300,000. Alok has budgeted its capex to be 4.5-5 billion rupees for FY12 and FY13 each. It mostly makes terry towels, bedsheets, technical textiles and polyester. This is being done so that the company is able to use the huge potential that the India market has and expects the company to grow at a rate of 15 per cent during these three years.